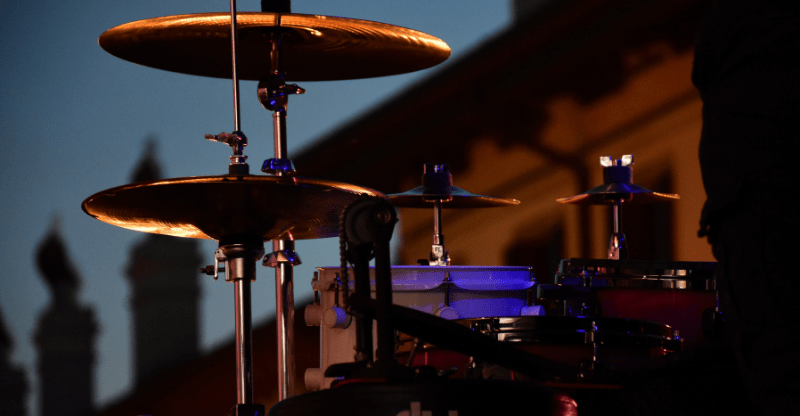 If you’re a drummer, you’ll be familiar with the problem of getting your instrument back and forth between gigs, recording studios and rehearsal rooms. Even at home, a full-size drum kit can be a problem if you’re short on space. And not only are they bulky, but they also take a long time to dismantle – your typical kit will contain anywhere from four to a dozen pieces of equipment – these can include shells, cymbals, and foot pedals. That’s a lot of messing about taking things apart and setting things up again. 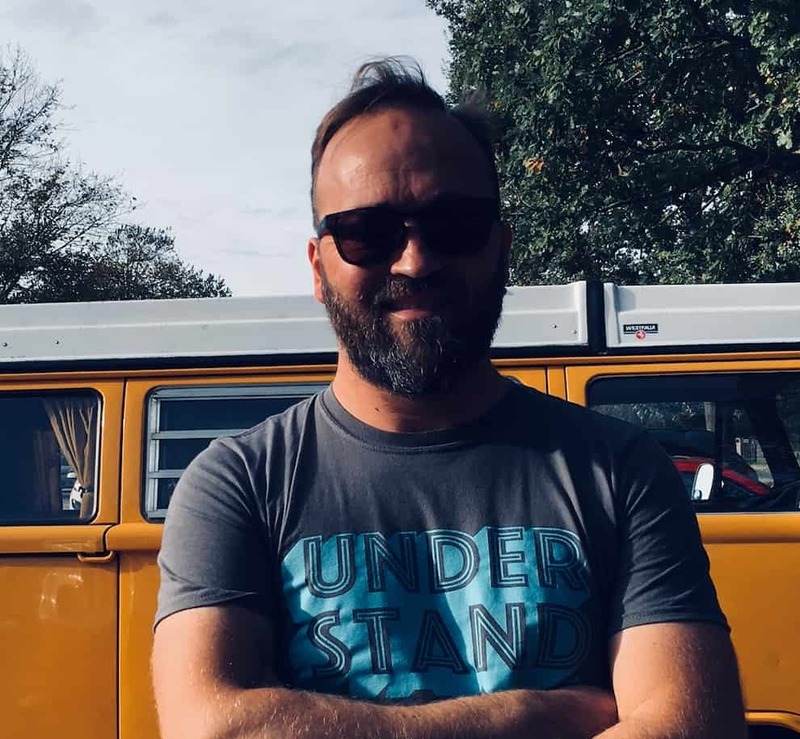 Ready for the good news? Advancements in technology mean there are highly transportable, light and compact alternatives available. The portable drum set has become a decent alternative to full-size rigs. In this article, we’ll cover all the essentials about buying one of these kits; we’ll look at the different types of equipment, what to look for when purchasing one, different models to consider and we’ll recommend a few for you to check out. Ready to dive in? Great. Before we start, here’s a quick overview of what we cover in the article. Feel free to jump to a section, or read the whole thing from top to bottom. What is a Portable Drum Kit? It is, as you probably guessed, a mobile version of a full-size kit. They come in varying degrees of size, collapsibility, and sound. You can spend as little as a couple of hundred dollars into the thousands of dollars. For other members of a band – guitar, keyboard, bass, vocals, etc. – the gear can be carried easily enough. Drum kits are a royal pain in the neck to move. Sure, guitar amps are a pain to move about, but nowhere near as big a deal as a full-size. Portable kits are designed for transporting and built for convenience. They weigh considerably less than full-size kits too. Remember full-size kits are designed with quality in mind, not size or weight. Materials used for shells such as mahogany are chosen for tone, not for ease of transporting. An excellent portable kit will be designed to be as lightweight as humanly possible without compromising on sound. When it comes to sound, it’s tempting to dismiss compact drums as the weaker sibling of the full-size kit – you’ll be pleasantly surprised by just how good some of these sound. 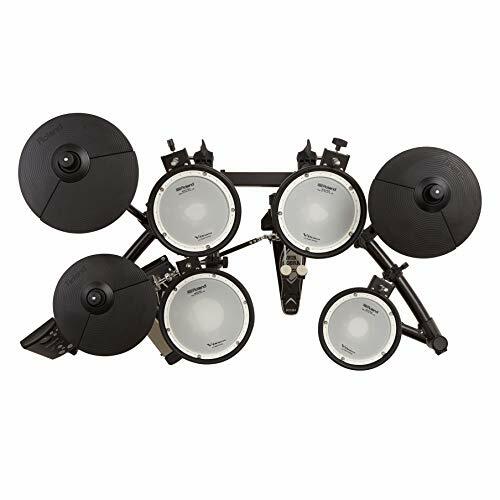 Portable sets such as the Sonor Safari (we’ll look at further down the page) or any of the Roland TD-1DMK kits sound comparable with larger, more expensive models. A full kit with a dozen pieces takes up a lot of room – unless you have a dedicated space, finding all that space is a challenge in the average home. Electric kits are perfect for these types of houses; like an ironing board, they fold away neatly. Portable sets are often much cheaper than full-size ones. Adults just starting may not want to drop a small fortune on a full-size kit either. You’ll find some travel kits are smaller and cheaper to suit a wide range of budgets. As well as regularly gigging or jamming with friends, practice is the key to improving. The big issue with drums is they’re so incredibly loud. Electronic sets have headphone sockets so you plug in and play at any hour of the day and not bother anyone. That’s super convenient if you live near others. 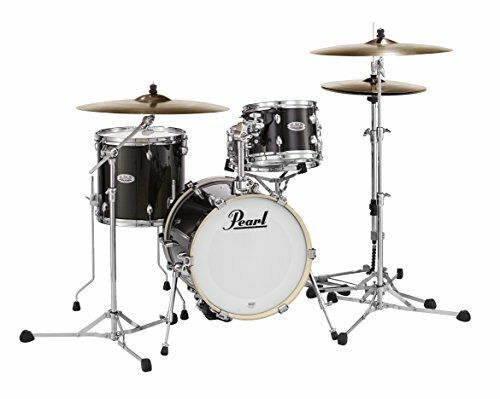 The first type is the acoustic drum set – these are the same as a full-size kit, only smaller in size and with fewer components (usually). They start at 14” inches (the bass drum) and go up to 18” inches. Then you have electronic drum sets. This variety of kit were made famous in the 1980s by new wave and pop music, then in dance and electronic music in the 1990s, they’re responsible for creating some of the best beats of the last 30 years. Many purists turn their noses up at electronic rigs and prefer acoustic sets. Tabletop electronic drums are ‘without the legs’. You put them on a table, desk, even your lap, and play them with fingers or sticks. Ok, now it’s time to dive into product reviews. 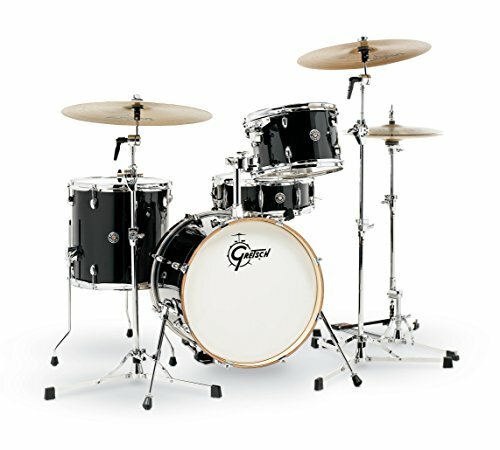 German manufacturer Sonor’s AQ2 line of drums offers five standard configurations that are all made from 7-ply all maple shell construction. The minimalistic yet functional design is classy and sturdy and benefits from small, compact shells. The smallest kit in the range best suited for portability is the Martini set (with a 14” inch bass drum). 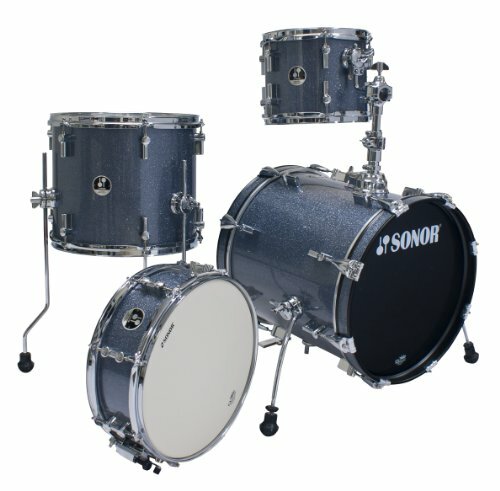 The next size up is the Sonor Safari (16” inch), the Bop (18” inch) and the Fusion (20”inch). While the Martini is the smallest, I recommend the slight larger Safari with the 16” inch bass drum (the 16” inch is ideal for portability – not too big, not too small). Also with the slightly bigger drum, you get a better low frequency. Maple shells sound warm, resonant and bassy. ‘Smart-Mount’ tom mounting system offers optimal sustain with minimal hardware. Gretsch is an iconic American brand from Ridgeland, South Carolina. The Catalina Club is another tour de force from them. 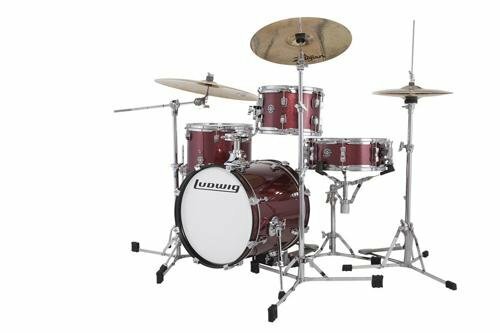 The 4-piece configuration is built around a 14″ inch bass drum that gives a warm and punchy vintage tone, perfect for just about any style of music. Coming in 5 tones, Blue Satin Flame, Gloss Crimson Burst, Piano Black and two shades of Satin, their size makes them relatively easy to transport. Mahogany shells have a strong low end, offering a warm, rich tone. Bass drum opens up, giving the option of a deeper sound. There’s a cymbal arm on the bass drum, keeping the kit compact. The positioning of the cymbal can feel a bit odd. Only available in two sparkle finishes. The Ludwig Breakbeat by Questlove is another great little portable kit that’s designed for the gigging drummer in tight spaces: coffeehouses, subways, that corner in your apartment. Ahmir “Questlove” Thompson is an American percussionist and producer, known mostly as the drummer and joint frontman in The Roots. This 4-piece kit was designed to be “break-able” for a gritty, raw downbeat. The kit is positioned on a riser for optimum reach, and it’s compact 14×16″ bass, 7×10″ tom, and 13×13″ floor tom creates a set-up for sculpting grooves in tight spaces. Coming in three dope colors, White Sparkle, Black Sparkle, and Red Sparkle, this is one to consider. Good value too. Shells are basswood, which is of lower quality than mahogany or maple. There’s no kick pedal, stool, hardware or cymbals included. Pearl’s ultra-portable Midtown Kit is another lightweight, highly portable kit that’s superb for gigging. You get the choice of two covered finishes, 6 Ply (7.5mm) poplar shells and a matching 13×5.5 wood snare drum. This kit comes with Pearl’s OptiLoc Suspension System for easy setup and some of the best drum heads for the price available (coated front Remo heads). Poplar shells bring out higher frequencies as well as low ones and offer a resonance similar to birch or mahogany. Only available in two finishes. A shell-less set that’s more or less the size of a table top when folded down and can be easily stored in any room and packed along the back seat of a car – if necessary each of the pieces can be removed and placed in canvas bags for extra protection. 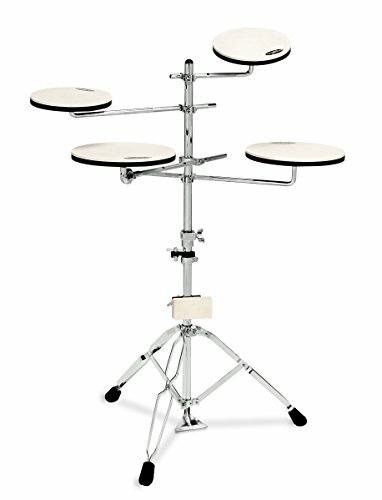 The very sturdy frame prevents any wobbling or looseness and can be configured for left or right-handed players easily. No cymbals included though, which is a shame. This set often gets included in lists of portable drums on the internet, but it’s a portable practice set, not a kit you’re going to play at your next gig — very smart folding design and super lightweight. The ABS snare enables high tension tuning. A400 rack mounting system is as sturdy as it is portable. Small toms might not suit rockier musicians. Not marketed as a portable rack, the 17 series by Roland is still a highly portable and lightweight piece of equipment. The 17 series also comes with the new sounds from Roland’s premium rack TD50, but at a budget price. Pads can be hit and miss with electronic drums – it’s good to see Roland ship this kit with a full set of mesh pads. This kit comes with onboard coaching functions for tracking your progress, even letting your record your beats. The price may be prohibitive for many players, and that’s a drawback. With Roland, you know you’re going to get good quality. Mesh heads enable a good stick bounce. There are training functions included helping you to learn. A large variety of sounds are included. Although it’s marketed as a ‘beginner’ kit, the price tag is quite high. The bass drum and hi-hat pedals lack the resistance of acoustic kits’ pedals. There are limits to the volume controls. For a budget electric kit, it’s worth checking out the Alesis Nitro. It’s a full-size set (so on the large side), but it’s fairly easy to collapse and move. It comes with all the bells and whistles you’d expect from an electric kit (onboard computer, headphone input, etc.) but at a budget price for the beginner. When everything is packed away, it weighs no more than 40.2lbs, so it’s super light. 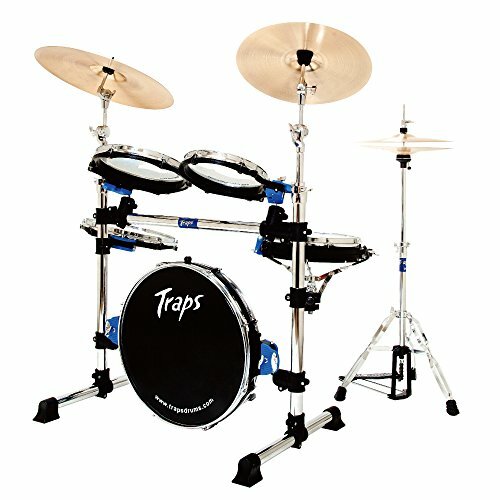 The snare pads have dual zones to more closely replicate acoustic playing and comes with a training module for beginners. Not a bad option if you’re on the fence about whether electronic is for you. Records your performance so that you can listen back. Comes with sticks, key and a power supply. There’s no option to half open the hi-hat. The mounting rack might feel a bit low to taller musicians. Desk or tabletop sets, as the name suggests, need to sit on a top (or your lap. i.e. they have no legs). While this looks like a kids drum set (and yes, children will love it too) it’s made for any age, not just young nippers. As it’s so portable, it’s perfect for tapping out a rhythm at a campfire jam, BBQ, beach party or wherever you happen to be. This one comes with a built-in speaker. Includes 8 demo songs that you can play along with. Although it’s great for establishing ideas, it’s less suited to serious performance. You might want to replace the included sticks. 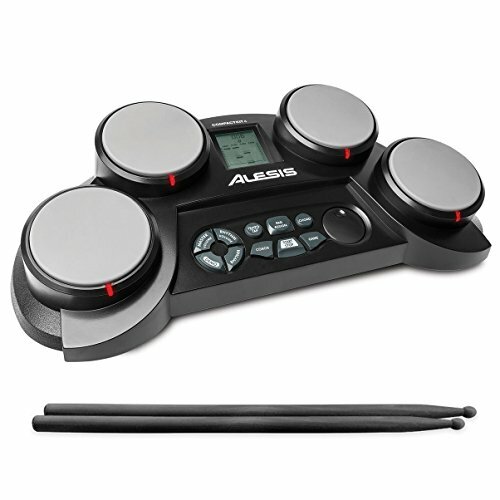 Another similar model, this time from Alesis, has a few more things going on – percussion and effect voices to make some Yello sounding tracks and 50 play-along songs built in. Pads are very responsive to differences in velocity. Can be powered by batteries or through an AC adapter. The sound quality isn’t of a high enough level for recording using these. The ‘teaching mode’ can feel a bit fast to some people. Resembling a cross between a bird feeder and radio antennae, the DW drum workshop is a versatile practice aid that folds to a compact size. 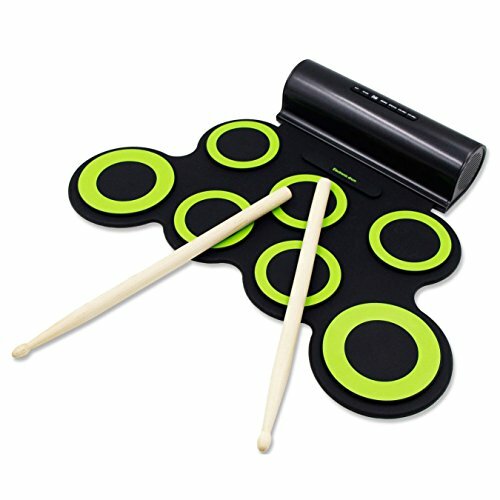 A 5-piece pad set, it allows for ultra-quiet practice and is super easy to set up compared to many of the others we’ve looked at so far. All on one stand: extremely easy to set up. The pads have a natural rebound. Although it’s great for practice, this kit isn’t suited to performance. We’ve covered a lot in this article and, I hope you’ve gotten something out of it. If you’re adamant you want an acoustic set (I don’t blame you) any of these models will do the trick – however, the Sonor range is well built German kits that are reasonably priced. If you’re into your gritty, urban beats – the drumming you hear in hip hop band The Roots – then the Ludwig Breakbeats by Questlove is a no-brainer, it’s very reasonably priced too. 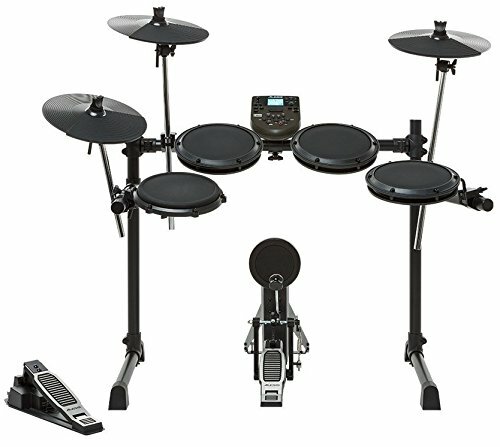 If electronic drums are more your bag, it’s worth forking out a bit more for the Roland TD-1DMK Electronic Drum Kit (actually, any of the 17 series will do you). They’re a market leader in digital drums, so you’re in safe hands. Now it’s over to you. Whether that’s in the subway, small gig, park, street festival or in your spare room – enjoy your new portable kit!